I hear this quite often. Customers are usually looking for some kind of kit to seal the shaft, but the shaft isn’t the problem. What is most likely happening is that there is too much fuel entering the venturi, running down the inside of the carburetor, hitting the throttle valve, then leaking out of the shaft. Now the throttle shaft cannot be totally sealed, or it wouldn’t move. 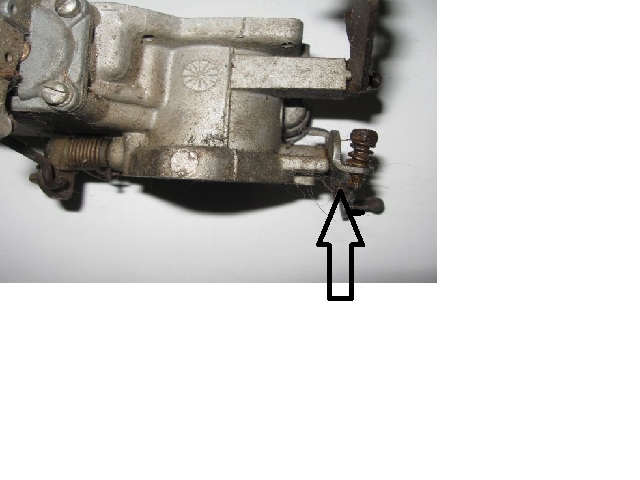 What is causing too much fuel to enter the carburetor? The float could be absorbing fuel becoming too heavy. This would cause the needle and seat to stay open. The float is adjusted wrong. The needle and seat is dirty. There is too much fuel pressure. This can sometimes occur when you replace the fuel pump and the new pump is putting out too much pressure. This happens more often than it should. Test your fuel pump. You can also add a fuel pressure regulator. One other possibility is that the fuel is splashing over the top perhaps from a rough road. Made sure you didn’t leave out any baffles. The bottom line is that the fuel leaking out of the throttle shaft is probably due to the carburetor flooding. The solution is to get a carburetor kit and rebuild the carburetor and test the float. Now, don’t discount the throttle shaft being bad. It could be worn enough to require bushings. You can test this by moving the shaft back and forth to see if there is any slack. Chances are that if you notice slack, then there is probably too much. I have the same issue where gas is leaking out of my throttle shaft I just replaced a two barrel carburetor with a four barrel. The car starts and runs fine while idling and slow acceleration but if you floor it it will bog or stall the motor. Every time I shut the car off after running it leaks gas out of the throttle shafts and down the linkages. I just rebuilt the carb and replaced the needle and seat and adjusted the float what would be my problem? Been trying to find it for months. It’s leaking gas out the throttle shaft for 1 of 2 reasons. Flooding – too much gas runs down the bore and out the shaft. Percolation – Engine gets hot and you stop, then the gas boils over. Try other brands. Do anything you can to cool the engine under the hood. you will get a list of things that cause flooding. How would I know which problem it is? With carburetors it isn’t that easy. Almost always a symptom can be caused by multiple problems. All you can do is try one thing at a time. You indicate if there is too much slack or play at the throttle shaft, bushings may be required to eliminate the slack. Do you sell these bushings? How does one go about measuring and or determining what is needed (bushing wise) if excessive slack is discovered? I am preparing to work on a Carter YFA carburetor, 1983 Ford F100. I saw in your film regarding the YFA rebuild, due to an aluminum throttle body, this is a popular problem. Thanks for your help and or advice.